As the last American advisers departed Vietnam in 1972, CORDS officials were cautiously optimistic. By their measures pacification had made steady progress for the past three years. Many provinces appeared free of violence while enjoying unprecedented economic prosperity. The Viet Cong seemed to have abandoned former strongholds and were reduced to forcible recruitment to replenish losses. In the minds of CORDS officials, the fact that the enemy was using conventional military operations featuring North Vietnamese regular divisions proved the success of the counterinsurgency against the guerrillas. In 1972, the Communist Easter Offensive, a conventional ground invasion, collapsed beneath American aerial bombardment. This too seemed to vindicate the wisdom of the allied pacification campaign. When the 1975 invasion secured victory for the Communists, a photo of a Russian-built tank battering down the gate of the Presidential Palace in downtown Saigon reinforced the notion that South Vietnam had fallen to a conventional military invasion. This notion, which overlooked the Viet Cong flag flying atop the tank’s turret and ignored the fact that the Viet Cong provided more than half of the invasion’s administrative and service personnel and also performed key combat functions, eclipsed most discussion about the American counterinsurgency record. Furthermore, by then the blame game was already well under way, with most fingers pointing to the top. Westmoreland emerged from the war a lightning rod of criticism for his unimaginative, orthodox tactics and strategy. In fact, he had been a model soldier, employing the doctrine taught by his nation’s foremost military schools and observing the limitations imposed by his commander in chief. It was not purely his fault that his nation mistakenly supposed that insurgents could be defeated by conventional forces employing conventional tactics according to a strategic doctrine devised to defeat the Russians on the plains of Eu rope. Perhaps a military mind of the foremost class would have perceived that nothing in the historical record supported this belief, but America’s founding traditions work against the emergence of a military genius. It could be observed in Westmoreland’s defense that President Johnson expected decisive results within a time span tolerable to the American public. Consequently Westmoreland perceived that he did not have time for pacification. In his mind decisive results could be obtained only through large-scale battle. This thinking was completely in accord with the U.S. bureaucratic bias. In spite of President Kennedy’s call for a new approach to combat Communist revolutionary warfare, both the civilian and military components of the government remained wedded to conventional approaches. The marines notably tried to adjust their methods but they were the exception. 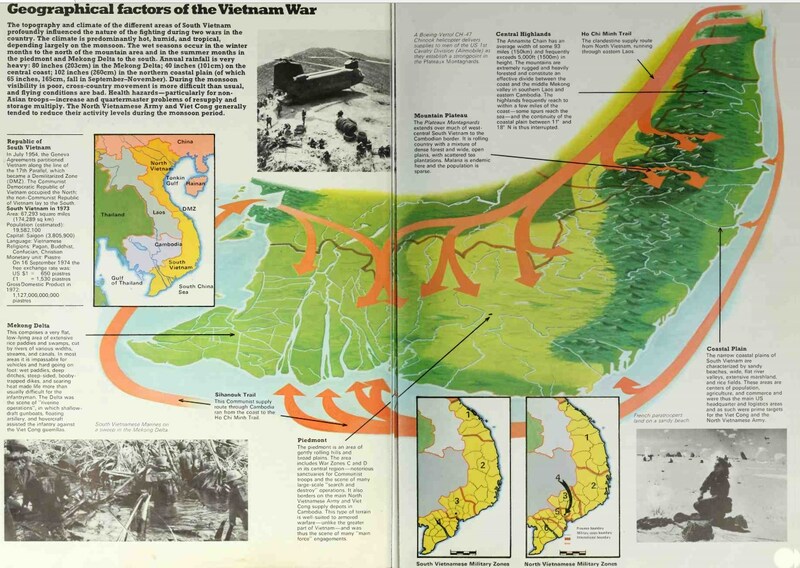 American intervention resulted from a strategic analysis shared by three presidential administrations that likened Vietnam to the first in a row of dominos. If the Communists successfully toppled the first, the rest would inevitably fall. When North Vietnam finally conquered South Vietnam in 1975, the domino theory received its acid test. Instead of triggering a chain reaction of collapse, the fall of the first domino caused the others to turn inward on themselves. Vietnamese fought Cambodians, who defended themselves with Chinese help. China attacked Vietnam. The glue that had bonded Communist solidarity, Western occupation, dissolved after the United States departed. There was unspeakable suffering in the killing fields of Cambodia and in the “reeducation camps” of the former South Vietnam, but Communist expansion through Southeast Asia did not occur. The domino theory proved a fallacy. This strategic blunder cost the lives of 58,193 Americans. Precise Vietnamese losses are unknowable. South Viet namese military fatalities were probably close to a quarter of a million. According to a 1995 North Vietnamese government announcement, Communist military losses between 1954, the end of the First Indochina War, and 1975, the end of the Second Indochina War, totaled 1.1 million dead. Two million North Vietnamese and 2 million South Vietnamese civilians perished during this period. After the war Robert Komer observed, “The greatest problem with pacification was that it wasn’t tried seriously until too late.” The inability of the Marine Corps and the U.S. Army to agree about an appropriate pacification strategy did impair the counterinsurgency fight. The relationship was so strained that in 1967, after two years of war, the marines felt it necessary to issue a formal “Clarification of Terms” simply in order to define what pacification meant. It was no wonder that South Vietnamese officials, who were supposed to be the lead actors in the pacification fight, remained confused about how to proceed. 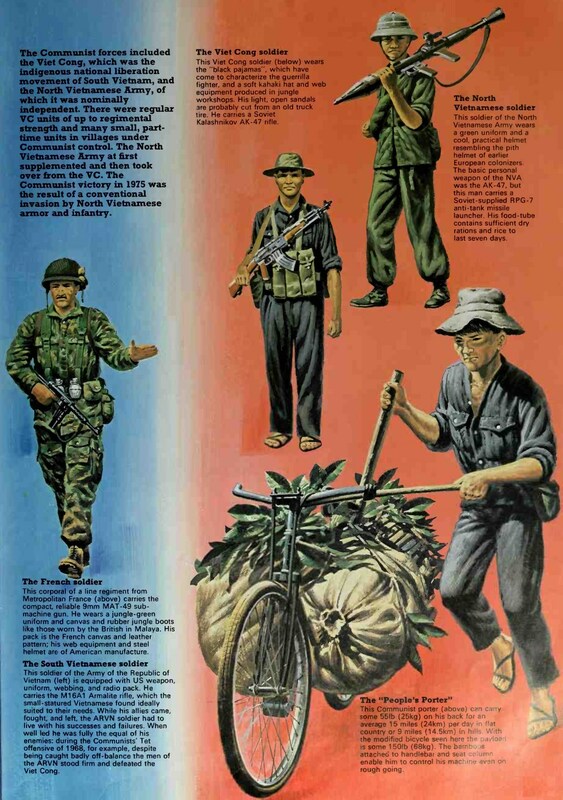 A catalogue of program names readily indicates the erratic course of pacification in Vietnam: Reconstruction, Civic Action, Land Development Centers, Agglomeration Camps, Agrovilles, Strategic Hamlets, New Life Hamlets, Hoc Tap (Cooperation), Chien Thang (Victory), Rural Construction, Rural Reconstruction, Revolutionary Development. 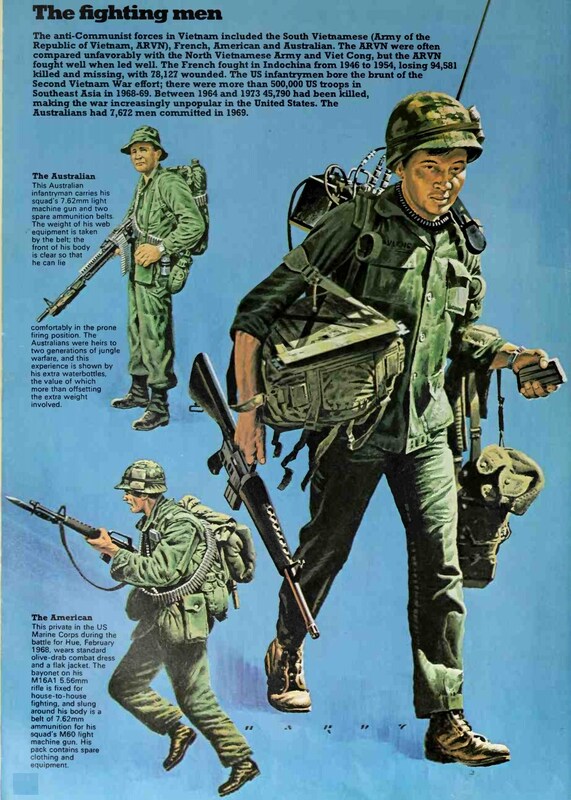 Until the implementation of CORDS in 1967, pacification in Vietnam was a confusion of agencies, programs, and strategies that were underfunded, uncoordinated, and often in competition. Thereafter pacification became a highly bureaucratized program groaning under the weight of management assessment tools. The resultant focus on program management had the unforeseen consequence of losing touch with South Vietnam’s real social, political, and military problems. While American pacification efforts focused on improved efficiency, reorganization, and the application of more resources, American-sponsored civic action and civil affairs efforts were highly biased toward engineering projects such as opening roads and waterways and building service infrastructure. By emphasizing management and engineering solutions, the Americans were doing what they did well. However, because underdevelopment was not the foundation of the insurgents’ strength, development was not a relevant response. The two most promising approaches to pacification were the Special Forces’ Civilian Irregular Defense Group and the Marine Corps’ Combined Action Platoon. The CIDG program developed effective militia who could defend their homes and find enemy forces better than conventional American forces. The focus on the big-unit war sucked in the CIDGs to the detriment of their original purpose of providing local security and intelligence. Yet, just as had been the case in Malaya or in all other counterinsurgencies, intelligence was the key. The departing commander of the Fifth Special Forces reflected in June 1966 that “the single greatest U.S. shortcoming in Vietnam is our lack of timely, accurate intelligence. Soldiers’ complaints about their repeated ‘walks in the woods’ without contact give evidence of this problem.” American leaders never had the patience to develop their own intelligence networks and dismantle the Viet Cong infrastructure. Instead, they flung even their Special Forces and their loyal CIDG units into the effort to find and destroy the enemy’s big units. Between 1965 and 1968 the CIDGs operated more like mobile mercenaries than local defense teams. They were good at it, but it was an unwise use of their potential. As with the CIDG forces, so with the marines; in Westmoreland’s mind, elite American soldiers were being wasted in passive village security missions and he could not stand it. At the time and during the subsequent, ongoing refights of the war, the marines’ CAP approach to counterinsurgency offered an appealing alternative to what actually transpired. As Robert Thompson declared at the time, the CAPs were “quite the best idea I have seen in Vietnam.” It is useful to reflect that by the summer of 1969, the program total peaked at 114 CAPs, just under the goal of 120 originally envisioned as a starting point back in the heady days of 1966. In other words, after years of effort, the CAP program was stuck near the number from where the “ink blot” spread of pacification was supposed to begin. By then, as Komer noted, it was too late. The CAP approach was based on the clear-eyed analysis that defeating an insurgency required patience and a long-term commitment. In 1965 the Johnson administration was unwilling to accept such a commitment. It made no effort to persuade the American public that a protracted effort was required. So the question of whether the American public would have tolerated an ongoing expenditure of blood and treasure associated with an open-ended commitment to Vietnam is unknowable. What is certain is that if faced with the marine approach nationwide, the inventive foe would have altered his tactics and strategy. The largest segment of the South Vietnamese population, the rural peasantry, simply never supported the South Vietnamese government. Since the arrival of the Japanese in 1941, villagers had seen outsiders representing different governments and political views come and go. They perceived the American-supported South Vietnamese government to be a continuation of rule by an alien elite little different from the French colonial administration. They considered it aloof, corrupt, inefficient, and totally lacking in legitimacy, a viewpoint widely shared by those Americans who lived among the villagers. At best, in places where enough American or South Vietnamese soldiers occupied the ground, the rural people acquiesced to Saigon’s rule. Genuine, deeply held support was rare. Within the time span that American politicians gave themselves to win the war, no amount of American sacrifice would alter this fact. In the postwar debate, veterans and military analysts alike spilled a great deal of ink about what had gone wrong. Some, like Marine Corps commandant General Leonard Chapman, were quite willing to dismiss bluntly the entire war as an aberration: “We got defeated and thrown out, the best thing we can do is forget it.” Most attention focused on the war’s best-known features: the conduct of the air war, the efficacy of large-scale search-and-destroy operations, and the wisdom of a strategy of gradual escalation. When specialists examined the actual design and conduct of pacification programs, interservice rivalry—the historic tension between the army and the Marine Corps—tended to produce more heat then light. Advocates of the so-called enclave strategy argue to this day that the marines’ Combined Action Program provided a winning model. Critics maintain that as long as North Vietnam was able to send reinforcements, any pacification program could not succeed. Still others said that absent real political reform, the South Vietnamese government was never going to enlist enough popular support to defeat the Viet Cong military-political infrastructure. Vietnam was a failed counterinsurgency with terrible consequences for the vanquished. During the war, the U.S. military had numerous opportunities to conduct the war in a different way, to build and utilize classic components of successful counterinsurgency campaigns. Instead, it always chose to expend most of its resources on the big-unit war, the war of attrition that it thought it understood and could win. What might have happened had it instead focused on the “Other War” and committed to securing the population against Communist control and terror? Certainly the human and financial costs would have been much lower and presumably the erosion of American popular support for the war would have been much slower. But regardless of American strategy and tactics, there remains the question of whether the South Vietnamese government and the army could have overcome its internal rivalries, elitist attitudes toward their own people, and chronic corruption to achieve meaningful popular support. This entry was posted in Strategy, Wars by MSW. Bookmark the permalink.